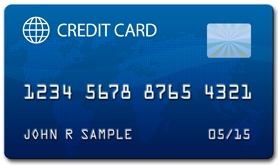 Learn about credit and debit card processing. This page provides merchants with the resources needed to effectively process credit and debit card payments while protecting cardholder data. UC San Diego must comply with all legalities pertaining to the Payment Card Industry laws and regulations including Payment Card Industry Data Security Standards (PCI DSS). All employees who accept, process, transmit, or store payment card information are responsible for maintaining continuous compliance with PCI DSS. Get the resources and information you need to successfully establish and maintain your merchant account. Learn about the Payment Card Industry Data Security Standards (PCI DSS) and your responsibilities as a merchant. Find the information you need to effectively manage your equipment and maintain compliance with all requirements.